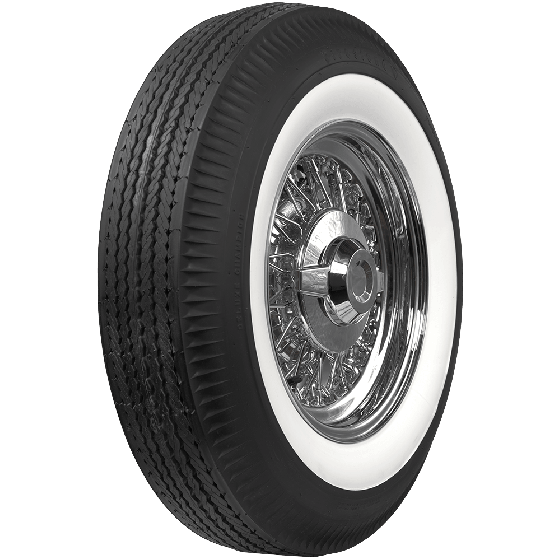 Choose these Firestone 6.70-15 tires with beautiful genuine whitewall construction for scores of classic fifties and sixties automobiles including BMW, Chevrolet,Ford, Dodge, Mercedes and so much more. 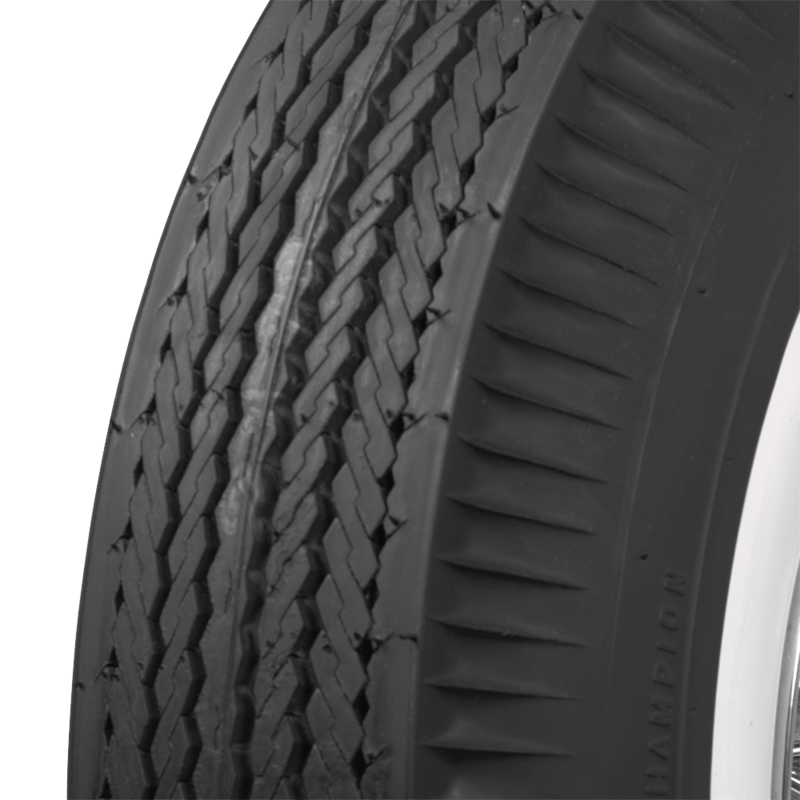 These tires feature authentic sidewall markings and original Firestone tread pattern designs. They're built in the original molds using modern materials in the USA. 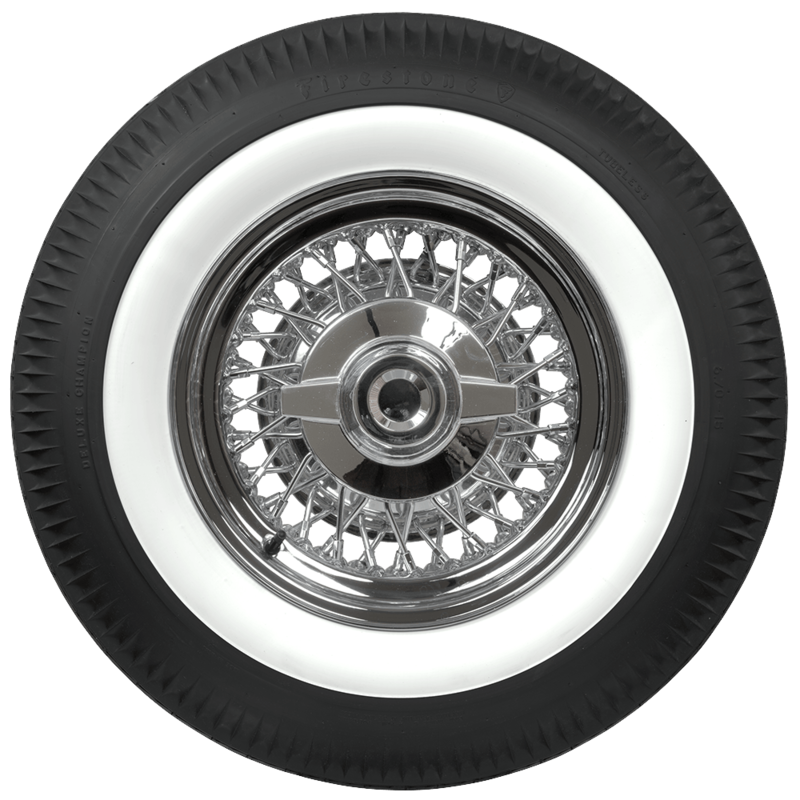 Firestone whitewalls are excellent fitments for restored classics, hot rods and customs. 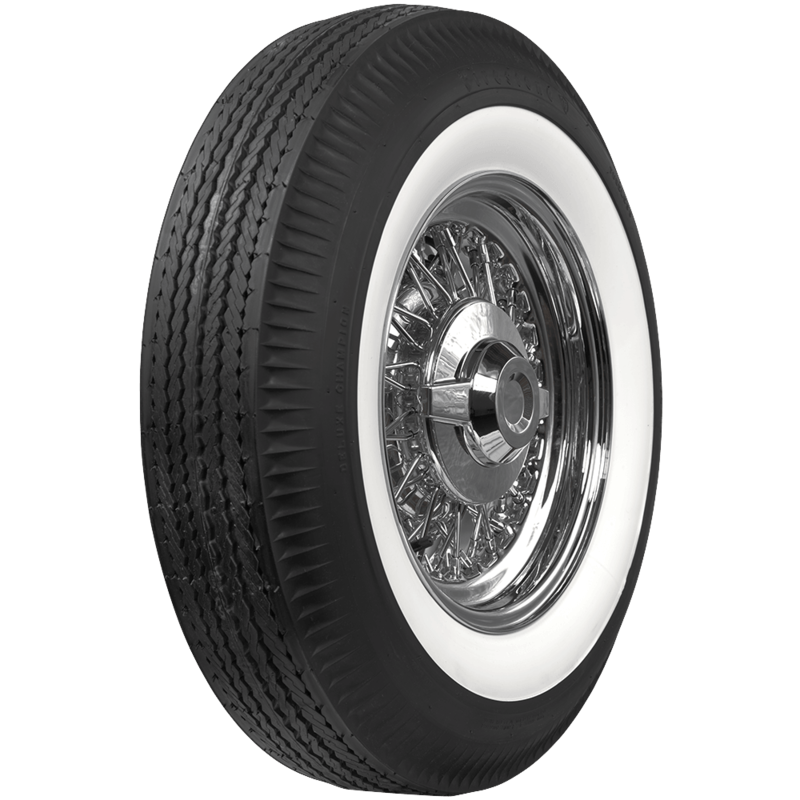 The Firestone Bias Ply 6.70-15 tire in whitewall is a best seller! 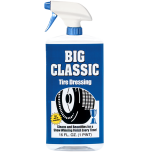 Do you have available a 7-10-15 Bias Ply Tire with a 2 1/4" Whitewall ? 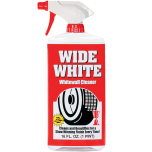 Yes, we have the 2 3/4" whitewall, along with other widths available on a 710-15 bias ply tire here. 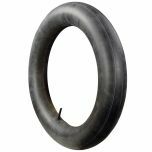 These tires feature 4 ply polyester construction.